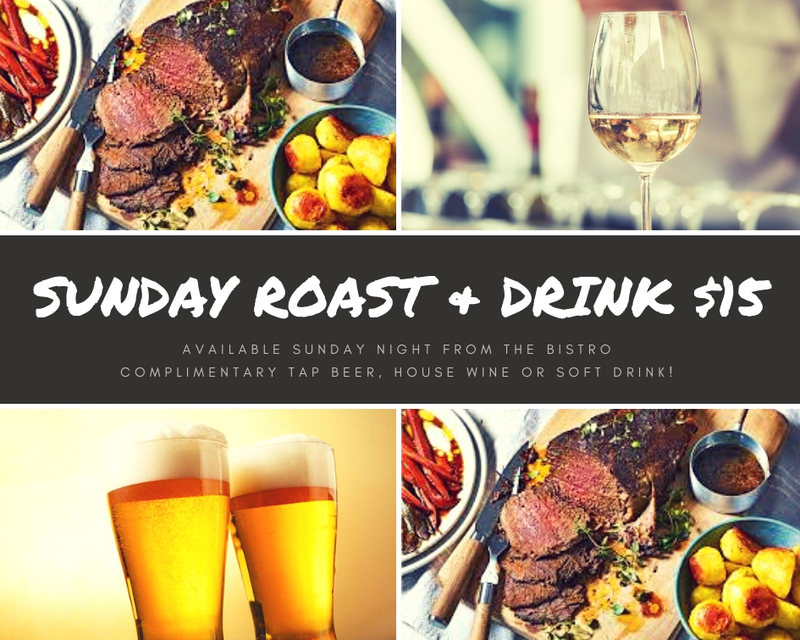 Avaliable every Sunday Night for dinner! Each meal comes with a complimentary schooner of tap beer, glass of house wine or glass of soft drink. For only $15, with a drink!